We are so excited about this post because it’s loaded with many good things! Thank you for following along! 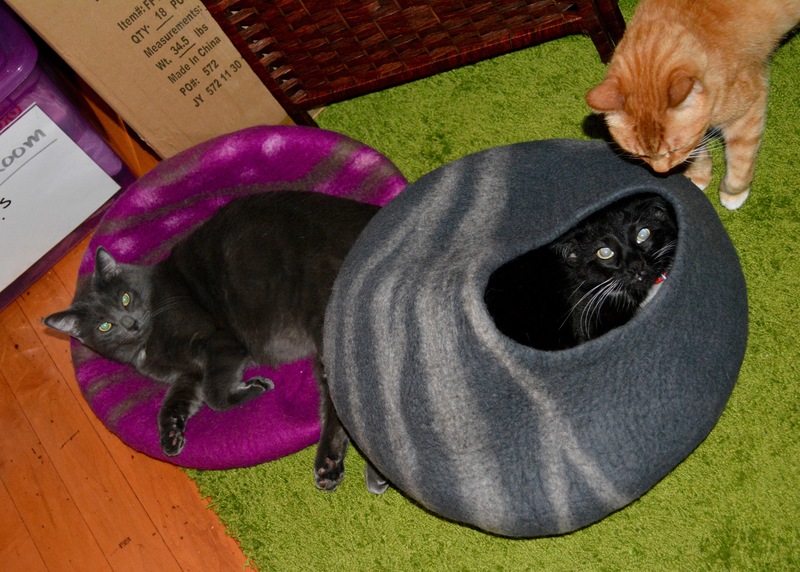 First, we’d love to show you our new cat caves / KittyKubbi’s from Twin Critters! As a household of 7 kitties, there aren’t many things we agree on. 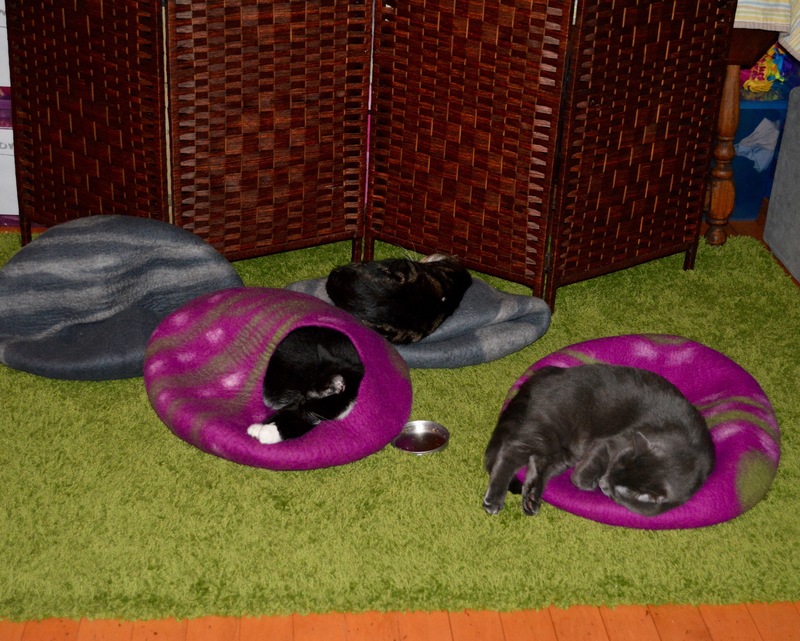 BUT they all enjoy these cat beds! Some enjoy sitting inside of the caves, some smash it down and lay on it! Whichever way they’re feeling, this bed has got their back! 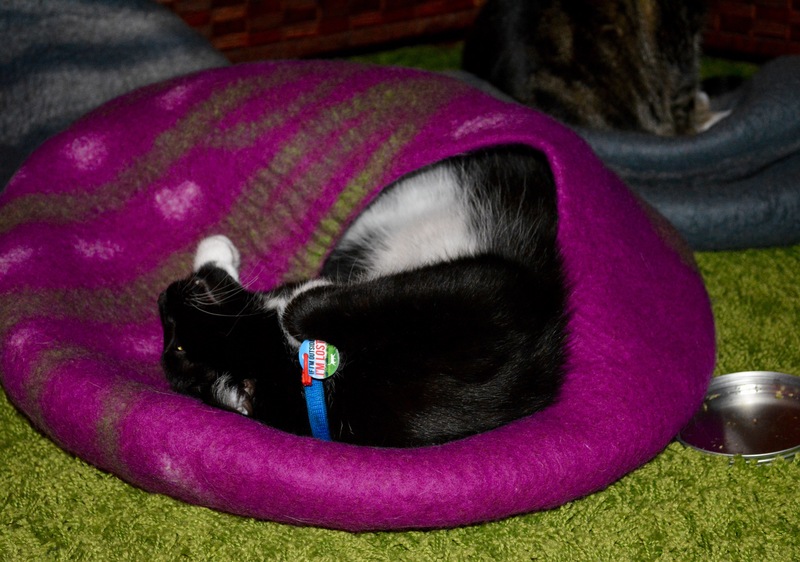 A bit about Twin Critters : HANDCRAFTED: Each cat cave is meticulously handcrafted in Nepal from 100% all-natural New Zealand wool. CHEMICAL FREE: Using an ancient technique called felting, artisans mold each KittiKubbi using only water, soap, and merino wool. Next on the agenda: cat scratchers! 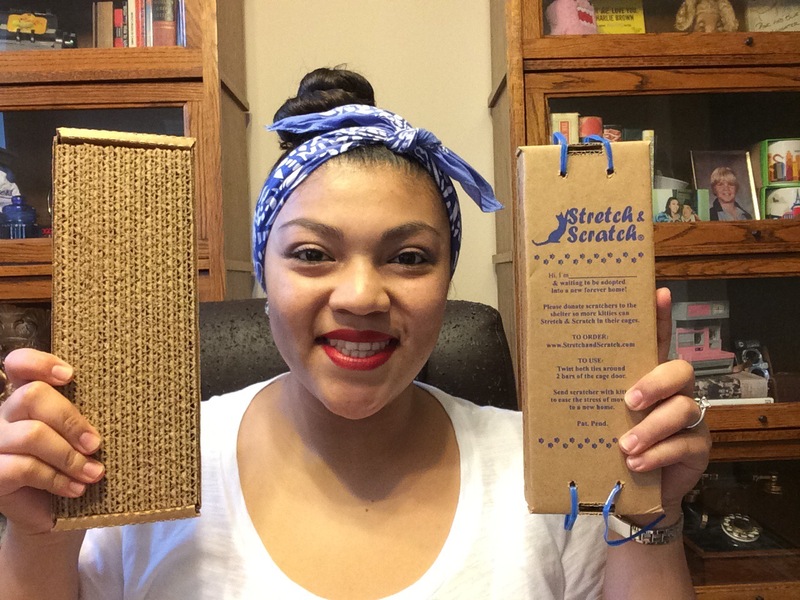 My friend Joan invented these scratchers called Stretch & Scratch and they are revolutionary for cats in shelters! 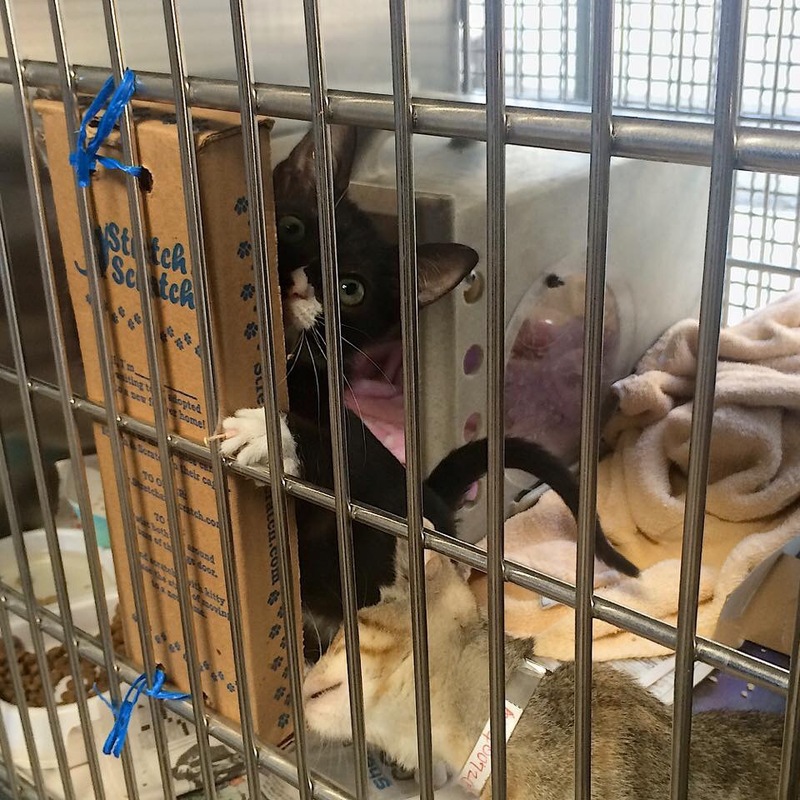 These scratchers were designed to help kitties stretch and scratch in their little cages while they wait to be adopted. 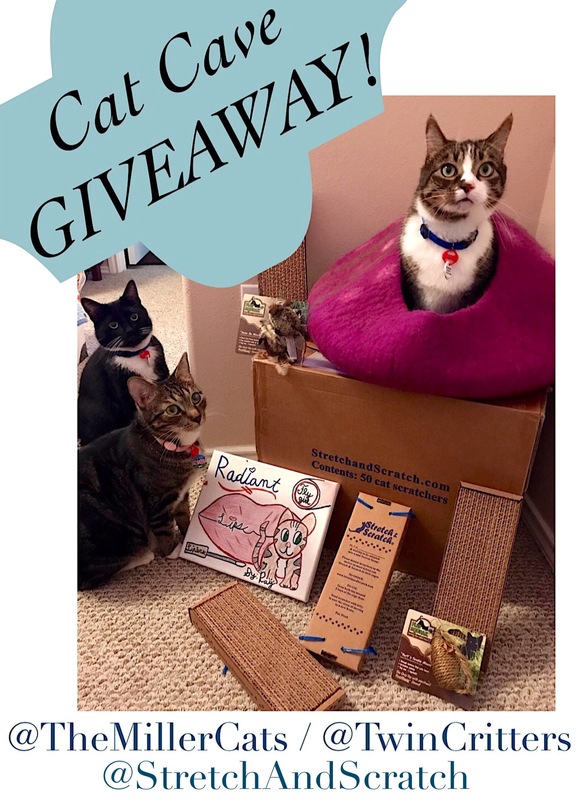 We have donated these to our local shelter in California and when we went in to share these with the kitties in the cattery, they just lit up with excitement for these scratchers! RELIEVES STRESS : Keeps cats exercised & entertained. Encourages natural behaviors. Enrichment for quarantine cages. EASY TO INSTALL : Attaches to most cage doors. Saves floor space. 2 twist ties fasten securely. 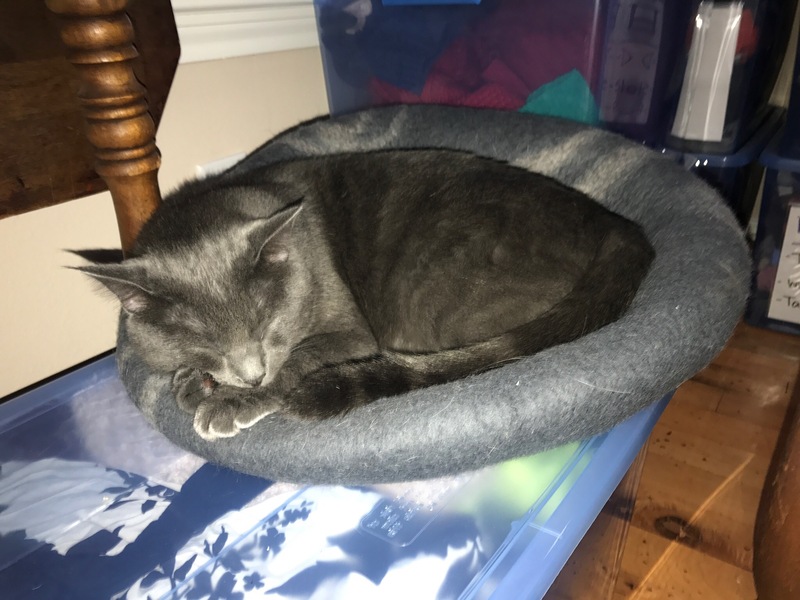 Send home with cat when adopted. GLUED-IN PAD : Tough corrugated material for long use. No rice paper, all scratchers are NOT the same! 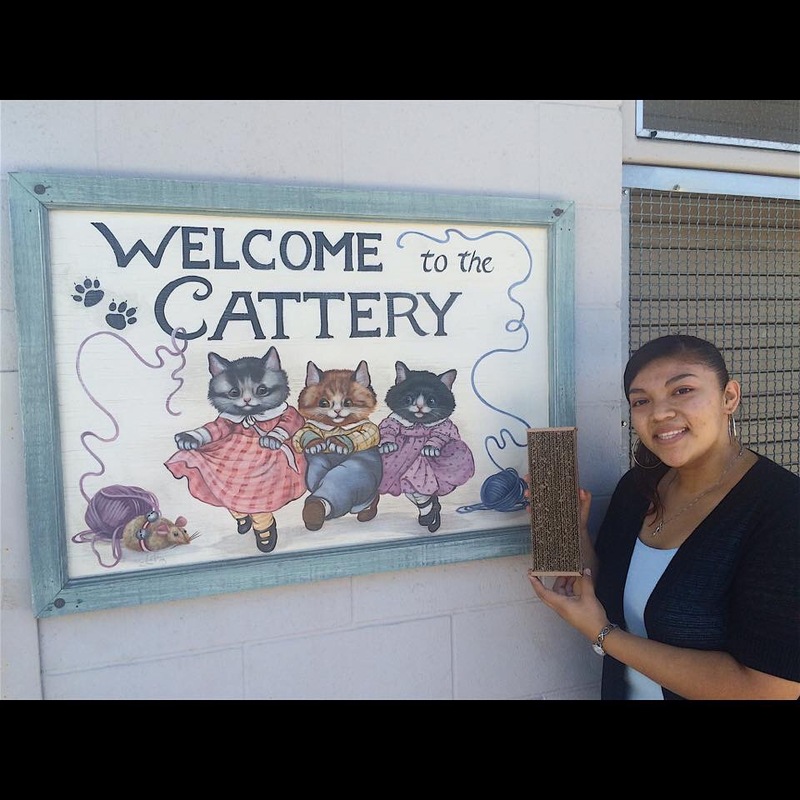 If you can’t volunteer at your local shelter, donate some scratchers to their cat room! Joan will ship directly to your local shelter , just provide the shelters information during checkout and Joan does the rest! She’s so amazing! If you CANNOT volunteer OR donate to your local shelter , please LIKE and SHARE our posts to help reach potential donors! That would be greatly appreciated ! 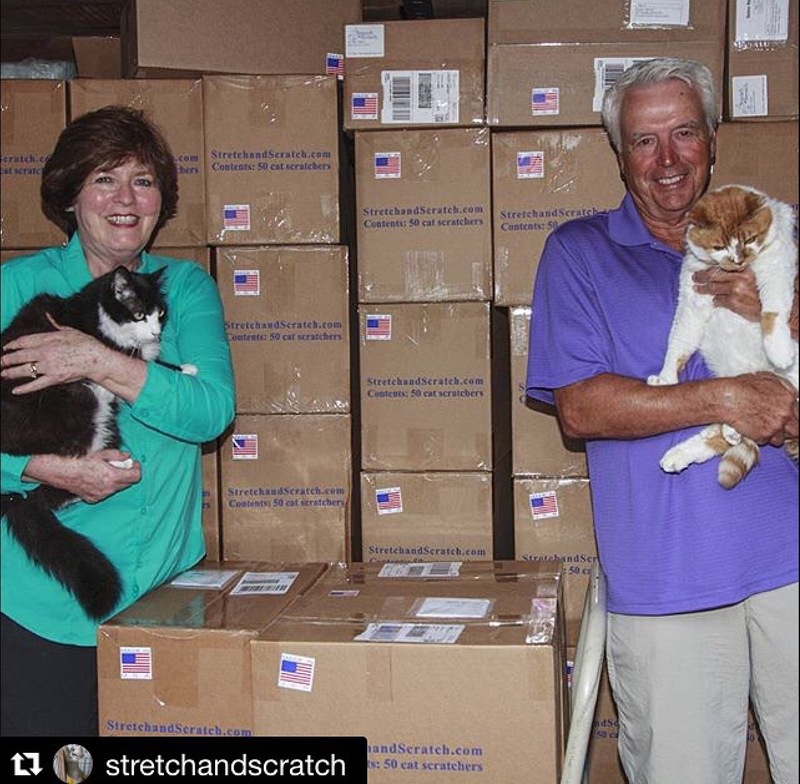 Please visit Joan’s website (www.StretchAndScratch.com ) to donate scratchers to your local shelter and for more fun posts follow them on Instagram @StretchAndScratch. Now for the GIVEAWAY part! Yay! -Share our giveaway on your social media page! Make sure to leave a comment here to let us know that you shared our giveaway! One entry per share ! You can share on Instagram, Facebook, twitter, etc! Cat Cave provided by Twin Critters! Treats and toys provided by us! The winner will be selected at random Sunday evening! Open to our furriends everywhere! Previous Previous post: #WhiskerWednesday : Our journey to healthy, natural and raw, OH MY! Next Next post: On Valentine’s Day, remember that knitting needles last longer than flowers!